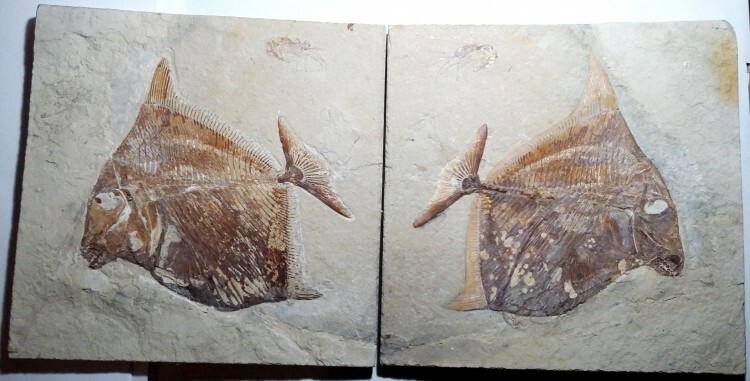 A RARE, quality negative/positive fish, Paleobalistum goedelli, discovered in the Lagerstatten quarries, of Haqil, Lebanon. 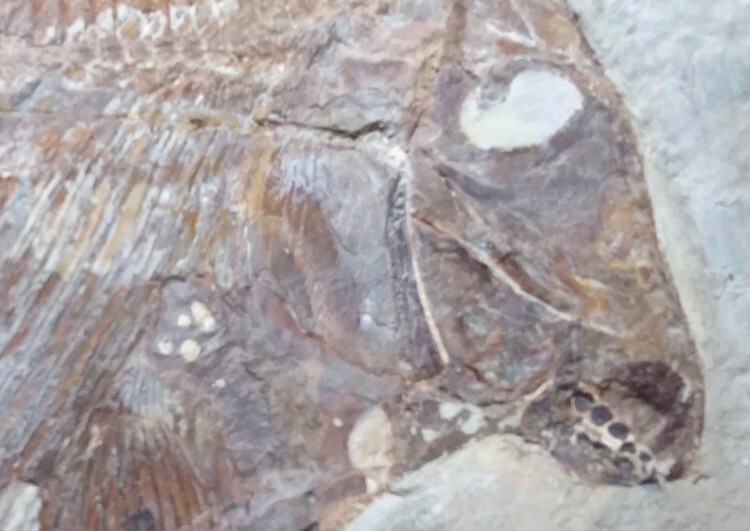 The fish dates from the Upper Cretaceous, 100 million years old, and is in outstanding condition. 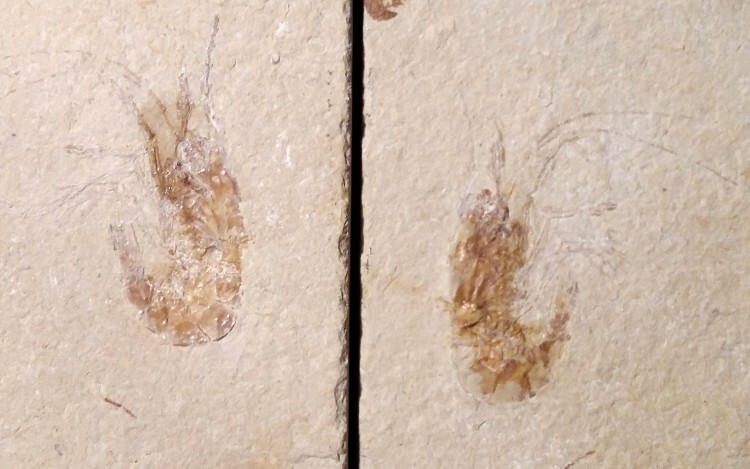 Also included on the plates, is a positive/negative image of a Carpopenaeus Shrimp. 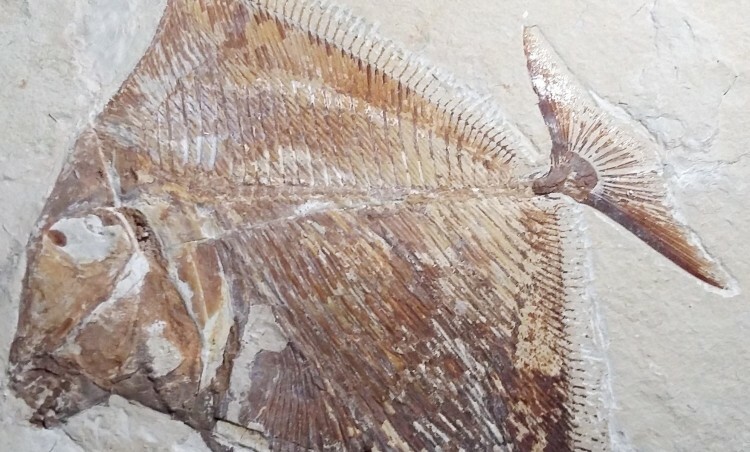 The Upper Cretaceous quarries of the Lebanese Lagerstatten yield some of the most wonderfully preserved fish, and marine creatures in the world. The majority of the quarries have been owned by the same families for many years. 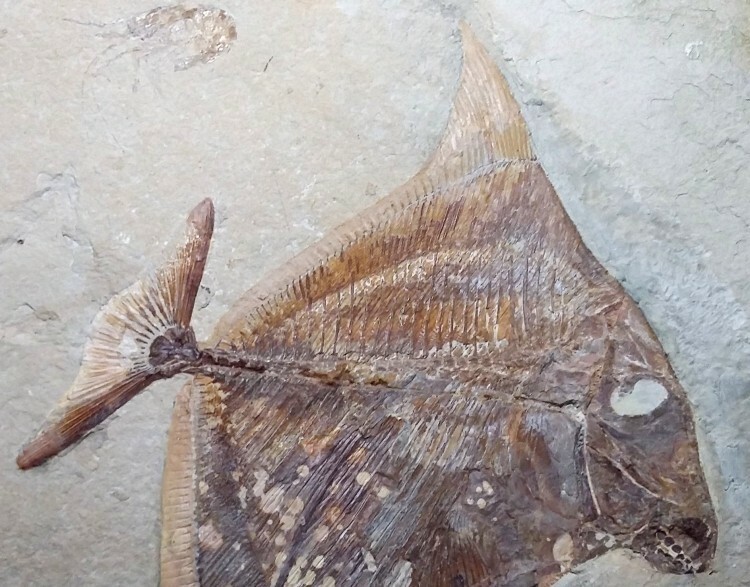 The fish are found in the Lower Cenomanian limestone deposits, at a depth of 270 metres below the surface. In life, the environment of these creatures was a warm shallow sea. Current unrest in the area makes it far more difficult to obtain these fossils. This is a unique display item, in superb condition. In addition to being a highly decorative piece, it can only be an appreciating asset.